Size of this preview: 758 × 600 pixels. Deutsch: Ein männlicher Himalaja-Glanzfasan (Königsglanzfasan / lophophorus impejanus) (aufgenommen in einem Zoo). 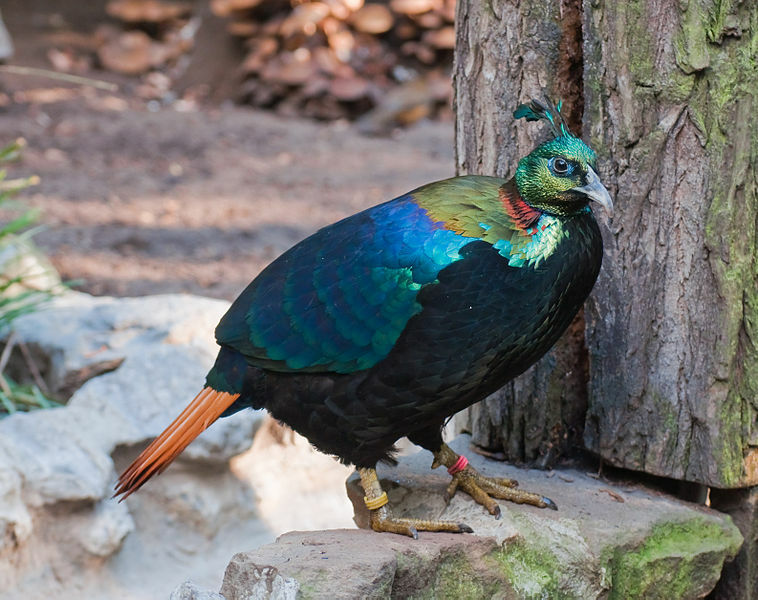 English: A male Himalayan Monal (lophophorus impejanus) (shot in a German zoo). Français : Un Lophophore resplendissant (lophophorus impejanus) mâle. Photo prise dans un zoo, en Allemagne. This image has been assessed under the valued image criteria and is considered the most valued image on Commons within the scope: Lophophorus impejanus (male). You can see its nomination here.